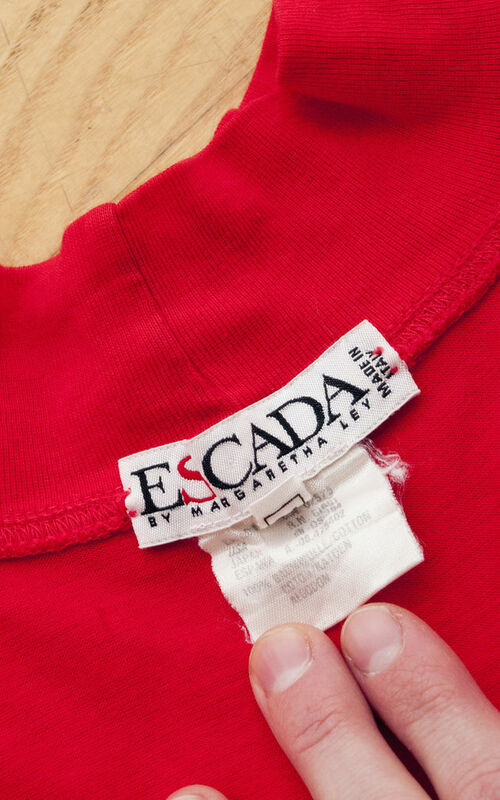 Rad like nothing was before, this 90s vintage Escada t-shirt wants to be yours right now. It has a mock neck, a long cut & an embroidery at front. Excellent condition. Labelled size: 34.
width (seam to seam): 45 cm / 1' 5"
sleeves (measured from neckline): 28 cm / 0' 10"